Clear color. Citrusy, clean aromas of lime rind, fennel seed, ginger powder, and caraway and green peppercorn with a supple, crisp, dryish light body and a warming, captivating, breezy fresh juniper, pine, lavender, and grapefruit oil finish. A fresh, clean, and crowd-pleasing gin. 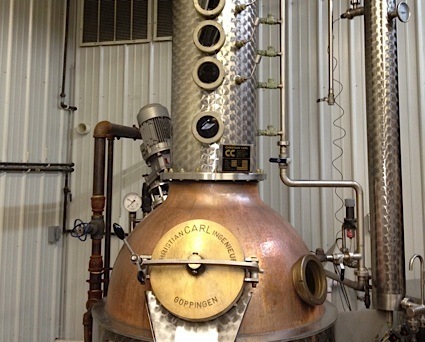 Bottom Line: A fresh, clean, and crowd-pleasing gin. 81 • Eagle Whisky 37.5% (Myanmar) $4.00. 88 • Grand Royal Double Gold Whisky 43% (Myanmar) $18.00. 90 • Grand Royal Special Reserve Whisky 43% (Myanmar) $9.00. 84 • Grand Royal Signature Whisky 40% (Myanmar) $6.00. 80 • Grand Royal Smooth Whisky 40% (Myanmar) $4.00. 84 • Grand Royal Whisky 43% (Myanmar) $4.00. 81 • Grand Royal ID Whisky 37.2% (Myanmar) $6.00. 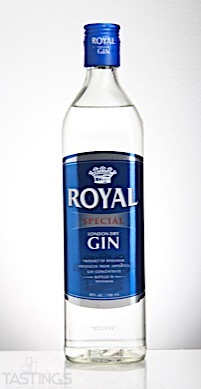 87 • Royal Special London Dry Gin 40% (Myanmar) $4.00. Royal Special London Dry Gin rating was calculated by tastings.com to be 87 points out of 100 on 7/25/2017. Please note that MSRP may have changed since the date of our review.